In the Grand Rapids area, a dentist’s office is sometimes seen as a painful and scary place. Stewart & Hull, located at 769 York Creek Dr NW Comstock Park, Michigan 49321, tries to discourage that image with a very friendly and thorough staff and qualified dentists. However, endodontic therapy, a dental procedure commonly known as a root canal, still carries a strong association with pain that sometimes keeps people from regularly visiting the dentist and tending optimally to their dental health. 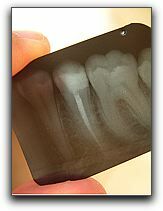 When a tooth becomes badly infected or decayed, a qualified family dentist in Grand Rapids or the surrounding areas, can clean the inside of the tooth by removing the bacteria, soft tissue (called pulp), decayed nerve tissue, and any debris that may be causing the tooth infection from the inside of the tooth. Your dentist will then seal the tooth to prevent further decay and finish by applying a dental crown or filling. This is the process and purpose of a root canal. The process can be completed, typically, in one or two visits to our cosmetic dental and general dental practice. In many cases, a root canal procedure is a better option than removing the infected tooth since it allows you to keep your natural tooth. Your natural tooth supports the surrounding teeth and bone density. Though a root canal can be intimidating or scary, educating yourself and talking to Dr. Bruce Stewart or Dr. Eric Hull can relieve much of your anxiety. Our patients rarely experience pain during a root canal procedure; their pain comes from the infection experienced before their treatment and is relieved once the treatment is complete. If you are in the Grand Rapids area, you can give Stewart & Hull a call at 616-827-7019 to see what we can do for your oral health. Don’t forget to visit us at our dentistry website at: https://www.greatmismiles.com/.